If you are looking to detoxify your body of all the unnecessary toxins that can be consumed to achieve better health AND lose weight, then please read this report! Have you ever read the ingredients label of the foods that you buy to make sure you are buying healthy foods for your family? Or do you just let the television ads dictate what food products you buy to feed your family? Have you ever wondered about certain products whether or not they fulfill their advertised claims of being truly healthy? I do not wish to be the bearer of bad news, but something that I have discovered through my vigilant research about how foods effect your overall health must be revealed to you, the sooner the better. I was originally reared in Texas where we have a saying, “Never believe anything you hear, and only half of what you see.” The news that I want to let you know about possibly you may already know about. But if I can confirm that it is true, would that help you in your decisions about what food products NOT to include in your weekly shopping lists? Yes friends and neighbors, this IS the worse carbohydrate to consume to keep your body healthy and most importantly, stay at the weight that your body should be at. I know this is a very innocent sounding ingredient of the many not-so-innocent ingredients that you find on any food label. Sometimes called HFCS, this dirt-cheap, chemically altered sweetener shuts down your body’s hormone, leptin, which happens to be your fat-burning hormone that is responsible of sending hunger signals from your stomach to your brain. As you eat this fat-producing carbohydrate, since it actually makes foods addictive, you continue to eat and eat and eat. Your brain never gets the signal that you are full and to stop eating. So the manufacturers of this product continue to make more and more money. It is in their best interest to keep you coming back for more. Need Proof? In a recent study, test subjects were divided into two groups. One group was given a glucose (sugar) beverage to ADD to their diet, and the other group was given a beverage containing – High Fructose Corn Syrup – to ADD to their diets. Yes, you are right…Both groups gained weight…However, the group consuming High Fructose Corn Syrup packed on intra-abdominal fat (belly fat – which is the most dangerous). Why should this be so startling to you? This fat is the kind that causes Diabetes and Heart disease. Not only is this high fructose corn syrup addicting your body into eating more of it, it is actually a toxin that is putting your health at risk! According to the US Department of Agriculture, the average American consumes 42 pounds of HFCS a year! That is more than 75,000 empty calories a year that have no nutritional value! But what is more alarming is that teenagers are consuming 15 to 20 teaspoons of HFCS a day, when they really should be consuming nutrient-dense foods, for growth and lifelong health! It is no wonder that the American Journal of Clinical Nutrition says that HFCS use has increased by 4000%, between 1970 and 1990. The manufacturers of HFCS are actually the new “drug dealers” of today, not only getting rich, but putting everyone’s health at risk! You don’t believe me? Let me give you an example…Have you ever indulged in a sweet dessert that you just couldn’t stop eating? It wouldn’t fill you up, no matter how much you ate? Let’s see, one of those treats like soft drinks, fruit juices, energy drinks, ice cream, pudding, jellies, most fat-free foods, chocolate, crackers, cereals, syrups, candies? If you find this to be true, then perhaps you should check out the ingredient label…Chances are it contains large amounts of High Fructose Corn Syrup. Now another thing to remember about the ingredient label on American foods. The ingredients are listed, in order, from the most, to the least. If by chance you see HFCS listed anywhere in the first FIVE ingredients, then that is very bad…Instead, find another product of similar version that doesn’t contain any HFCS at all, if that is possible. 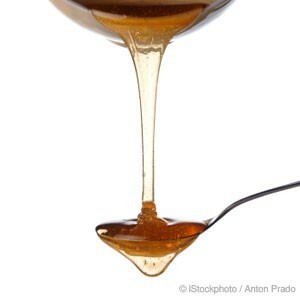 Is there any hope for you to find an equivalent sweetener out there that doesn’t add toxins or worse, belly fat? Actually there is hope! An alternative sweetener is the new zero- or low-calorie sweetener like Truvia, Z-Sweet and Sun Crystals, that are made with natural sources, such as erythritol and stevia. You can find these at most grocery stores. These natural sweeteners can be used instead of sugar packets in your hot beverages, on oatmeal, and you can even bake with them! The best news of all is that these are All Natural, Zero-Calorie sweeteners. Erythritol is an all-natural, zero-calorie sweetener that is fermented from sugars which is found in many fruits and vegetables. The best thing is that it adds no calories, it has no glycemic impact, and that it is only slightly sweeter than regular sugar. It is also recognized as SAFE by the FDA. Other sugar alcohols ( such as xylitol and maltitol) are frequently blamed for side effects, such as gas and can cause diarrhea if taken too much as a sugar-free treat. Since Erythritol is absorbed before it reaches the large intestine, it normally doesn’t cause any digestive problems. In the United States, the granular form of this sweetener is marketed under the name of Z-sweet, and is also found in other sweeteners such as Sun Crystals (which is also mixed with raw cane sugar, which makes it not zero-calorie), and Truvia ( which is a combination of Erythritol and Stevia). Now a word about Stevia. Stevia rebaudiana is a leaf from South America that gained popularity several years ago. It is a no-calorie natural sweetener with a sweetness that is 30-45 times greater than that of table sugar. It is being used all over the world as a safe, reliable substitute for sugar. It has finally been approved for use in the United States after a long debate (which many people believe was due to the chemical sweetener industry sustained obstruction to block it from use). You can find this wonderful product under the names PureVia, Sweetleaf, and also mixed with erythritol in Truvia. To detox your body from weight gain by carbohydrates, remember to use sugar alternatives sparingly. Even the natural ones. Your body doesn’t need sweets all the time, so just remember to eat the appropriate foods for good health. Does this mean you should avoid carbohydrates entirely? Absolutely not! Carbs are not the enemy, just as fat isn’t your enemy either. Both of these nutrients are a healthy part of any fat-burning diet. Balance in your diet is the key to your overall weight loss plan, as well as your overall health. Too much of anything is bad no matter what it is. So if you avoid high fructose corn syrup in foods that you buy, or at least minimize its use, you will be taking a step in the right direction to avoid weight gain, obesity in your children, and in achieving better health for yourself, as well as in your family.